This article is about the London Metropolitan Police unit. For the Royal Ulster Constabulary unit, see Special Patrol Group (RUC). 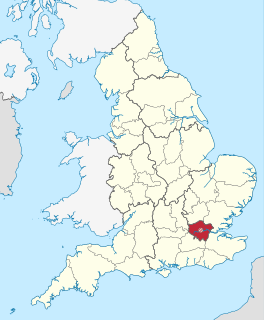 Greater London is a ceremonial county of England that is located within the London region. This region forms the administrative boundaries of London and is organised into 33 local government districts—the 32 London boroughs and the City of London, which is located within the region but is separate from the county. The Greater London Authority, based in Southwark, is responsible for strategic local government across the region and consists of the Mayor of London and the London Assembly. The City of London Corporation is responsible for the local government of only the City of London. 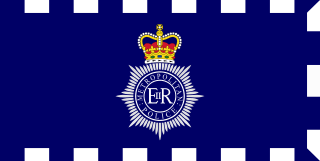 The Metropolitan Police Service (MPS), formerly and still commonly known as the Metropolitan Police and informally as the Met, is the territorial police force responsible for law enforcement in Greater London, excluding the "square mile" of the City of London, which is policed by the much smaller City of London Police. The SPG was active from 1961 to 12 January 1987, being replaced by the Territorial Support Group (TSG). The Territorial Support Group (TSG) is a Met Operations unit of London's Metropolitan Police Service (MPS). In 2012 it consisted of 793 officers and 29 support staff It specialises in public order containment, among other specialist policing. The TSG is a uniformed unit of the MPS that replaced the similarly controversial Special Patrol Group in 1987. TSG units patrol the streets of London in marked police vans or "carriers"; using the call sign "Uniform". Generally each carrier has an advanced (police) driver, five constables and a sergeant. Territorial Support Groups often comprise three carriers, eighteen constables, and three sergeants reporting to an Inspector. They separately patrol designated patches. When deployed, it is by the MPS Information Room. Due to the public order nature of their role often numerous carriers will be assigned, a common situation being drunken rowdiness at public house closing time. TSG officers can be identified as TSG from the distinctive "U" in their shoulder numbers. The SPG recruited experienced officers capable of working as disciplined teams, either in uniform or in plain clothes preventing public disorder, targeting areas of serious crime, carrying out stop and searches, or providing a response to terrorist threats. It also conducted its own surveillance and was tasked with reducing the problem of burglaries. During the time it was active it had a dedicated radio channel and a fleet of vans to allow it to work independently of routine divisions. Police uniforms and equipment in the United Kingdom have varied considerably from the inception of what was to become the earliest recognisable mainstream police force in the country with the Glasgow Police Act 1800 forming the City of Glasgow Police and then the Metropolitan Police Act of 1829, allowing the formation of the Metropolitan Police. With the various County Police Acts, policing became a more standardised practice in the United Kingdom throughout the late nineteenth century, the uniforms and equipment became equally standardised. From a variety of home grown uniforms, bicycles, swords and pistols the British police force evolved in look and equipment through the long coats and top hat, to the recognisable modern uniform of a white shirt, black tie, reflective jackets, body armour, and the panda car. Terrorism is, in the broadest sense, the use of intentionally indiscriminate violence as a means to create terror among masses of people; or fear to achieve a religious or political aim. It is used in this regard primarily to refer to violence during peacetime or in war against non-combatants. The terms "terrorist" and "terrorism" originated during the French Revolution of the late 18th century but gained mainstream popularity in the 1970s in news reports and books covering the conflicts in Northern Ireland, the Basque Country and Palestine. 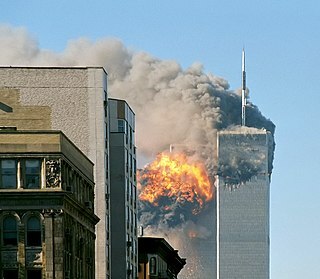 The increased use of suicide attacks from the 1980s onwards was typified by the September 11 attacks in New York and at the Pentagon in 2001. The SPG originally consisted of four units based throughout London. This was increased to six and finally to eight. Each unit was made up of an inspector, three sergeants and thirty constables. Its position within the Metropolitan Police was unusual; whereas the Flying Squad became the symbol of the Criminal Investigation Department in London, the SPG became recognised as a unit that efficient uniformed officers could aspire to join. As such it had an exceptionally high level of esprit de corps . The Flying Squad is a branch of the Serious and Organised Crime Command within London's Metropolitan Police Service. The squad's purpose is to investigate commercial armed and unarmed robberies. Morale, also known as esprit de corps, is the capacity of a group's members to maintain belief in an institution or goal, particularly in the face of opposition or hardship. Morale is often referenced by authority figures as a generic value judgment of the willpower, obedience, and self-discipline of a group tasked with performing duties assigned by a superior. According to Alexander H. Leighton, "morale is the capacity of a group of people to pull together persistently and consistently in pursuit of a common purpose". Morale is important in the military, because it improves unit cohesion. Without good morale, a force will be more likely to give up or surrender. Morale is usually assessed at a collective, rather than an individual level. In wartime, civilian morale is also important. Esprit de corps is considered to be an important part of a fighting unit. Other police forces outside London created their own versions of the Special Patrol Group. The Greater Manchester Police created the Tactical Aid Group (TAG) in 1977. The Merseyside Police formed the Task Force in 1974 which was later disbanded in 1978 and replaced with the Operational Support Division (OSD). One of the SPG's most controversial incidents came in 1979, while officers were policing a protest by the Anti-Nazi League in Southall. During a running battle, demonstrator Blair Peach was struck on the head and died as a result of his injuries; at the time it was alleged to have been an action of the SPG. In the inquiries which followed, a variety of unauthorised weapons were found in the possession of SPG officers, including baseball bats, crowbars and sledgehammers. Clement Blair Peach was a New Zealand-born teacher who died during an anti-racism demonstration in Southall, Middlesex, England. A campaigner and activist against the far right, in April 1979 Peach took part in an Anti-Nazi League demonstration in Southall against a National Front election meeting in the town hall and was knocked unconscious. No SPG officer was ever charged with the attack, although later, an internal report was leaked which stated that the Metropolitan Police paid an out of court settlement to Peach's family. The original Metropolitan police report, eventually officially published on 27 April 2010, concluded that the fatal blow that killed the anti-racism activist was probably made by a police officer. It is thought that "Peach's skull was crushed with an unauthorised weapon, such as a lead-weighted cosh or police radio"  The internal report also concluded that some officers had conspired to cover up the truth surrounding the death of the special needs teacher. 'Special Patrol Group' was the name of Vyvyan's pet hamster in the 1980s BBC sitcom The Young Ones . The third book of The Borrible Trilogy novels, by Michael de Larrabeiti, featured a parody of the SPG in the form of the "Special Borribles Group", or SBG, lead by the book's villain, the fictional Inspector Sussworth. UK Punk/Oi Bands The Exploited and Red Alert both have songs named S.P.G. Linton Kwesi Johnson dedicated the song "Reggae fi Peach" on the Album "Bass Culture" to Blair Peach. The refrain goes like this: "The SPG them are murderers (murderers) / We can't make them get no furtherer"
Constable Savage is transferred to the SPG in the Not the Nine O'Clock News Racist Police sketch. The South Australia Police (SAPOL) is the police force of the Australian state of South Australia. It is an agency of the Government of South Australia within the South Australian Department of Justice. SAPOL is directed by the Commissioner of Police, who reports to the Minister for Police. As of 30 June 2017, South Australia Police had 4948 active sworn members, including 339 cadets in training and 132 protective services officers, as well as approximately and 920 civilian staff operating across 28 metropolitan and 110 regional police stations. The Transit Enforcement Unit is the transit law enforcement division of the Toronto Transit Commission (TTC) in Toronto, Ontario, Canada. They were known as the TTC Special Constable Services from June 1, 1997 until February 1, 2011. The service is responsible for safety and security and have been authorized as "Special Constables" by the Toronto Police Services Board with limited geographical jurisdiction and specified enforcement powers since of January 1, 2014. Essex Police is a territorial police force responsible for policing the county of Essex, in the east of England, consisting of over 1.7 million people and around 1,400 square miles. It is one of the largest non-metropolitan police forces in the United Kingdom, and employing over 2,900 police officers. Newham Community Constabulary, formerly called Newham Parks Constabulary, was a very small non-Home Office constabulary responsible for patrolling the 52 parks and open spaces covering 1.63 square miles in the London Borough of Newham. The Metropolitan Special Constabulary (MSC) is the part-time volunteer police force of the Metropolitan Police Service. It is one of three Special Constabularies operating within London, the others belonging to City of London Police and British Transport Police. The MSC was created over 180 years ago under the Special Constables Act of 1831 and currently consists of 3,271(as of March 2016) officers, making it the largest in the UK. The Royal Bahamas Police Force is the national law enforcement agency of the Commonwealth of The Bahamas. It operates within the portfolio of the Ministry of National Security. The police force was established on 1 March 1840. The Force is headquartered on East Street Hill in Nassau, Bahamas. The Special Patrol Group (SPG) of the Royal Ulster Constabulary was a tactical reserve of 150 officers which had the role: to provide backup in civil commotion, to police sensitive areas at times of confrontation, and to show the flag in a disciplined and impressive way to those who wished to break the peace. Formerly known as the Police Reserve Force, the name was changed to Special Patrol Group in 1970 to avoid confusion between the Reserve Force and the newly formed RUC Reserve. The Sri Lanka Police is the civilian national police force of the Democratic Socialist Republic of Sri Lanka. The police force has a manpower of approximately 77,000, and is responsible for enforcing criminal- and traffic law, enhancing public safety, maintaining order and keeping the peace throughout Sri Lanka. The professional head of the police is the Inspector General of Police who reports to the Minister of Law and Order as well as the National Police Commission. The current Inspector General of Police is Pujith Jayasundara. The Indonesian National Police is the national police force of Indonesia. It was formerly a part of the country's military. The police were formally separated from the military on 1 April 1999 in a process which was formally completed on 1 July 2000. The organisation is now independent and is under the direct auspices of the President of Indonesia, while the Armed Forces is under the Ministry of Defence. The Indonesian National Police is responsible for law enforcement and policing duties all over Indonesia. The organisation is widely known for its corruption, violence and incompetence. 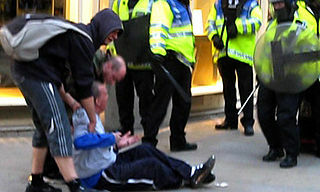 Ian Tomlinson was a newspaper vendor who collapsed and died in the City of London after being struck by a police officer during the 2009 G-20 summit protests. After an inquest jury returned a verdict of unlawful killing, the officer, Simon Harwood, was prosecuted for manslaughter. He was found not guilty but was dismissed from the police service for gross misconduct. Following subsequent civil proceedings, the Metropolitan Police paid Tomlinson's family an undisclosed sum and acknowledged that Harwood's actions had caused Tomlinson's death. The history of the Metropolitan Police Service is long and complex, with many different events taking place between its inception in 1829 to the present day. The Ministry of Defence Police (MDP) is a civilian special police force which is part of the United Kingdom's Ministry of Defence. The MDP are not military police and should not be confused with the Royal Military Police or any other Service Police organisation. The Assam Police is the law enforcement agency for the state of Assam in India. A regular police force was initiated in Assam by the British after the Treaty of Yandaboo to maintain the law and order. It functions under the Department of Home Affairs, Assam. The Headquarters of Assam police is situated in state capital Dispur. Police Scotland – legally named the Police Service of Scotland – is the national police force of Scotland. It was formed in 2013 with the merger of eight regional police forces in Scotland, as well as the specialist services of the Scottish Police Services Authority, including the Scottish Crime and Drug Enforcement Agency. Although not formally absorbing it, the merger also resulted in the winding up of the Association of Chief Police Officers in Scotland.